Denmark beat Malaysia in the top of the table clash at the ICC World Cricket League Division 4 in Kuala Lumpar as they beat the hosts by 33 runs. In the day’s other matches Uganda beat Vanuatu by 81 runs at the Royal Selangor Club and Bermuda secured their first victory of the tournament after beating Jersey by 58 runs. Denmark beat Malaysia in a low-scoring game at the UKM Cricket Oval as they won by 33 runs. Opener Zameer Khan was the top scorer for the Danes with 44 runs from 72 balls including two fours. Captain Hamid Shah (37) and Mads Henriksen (32) put in two crucial innings respectively to edge Denmark to a respectable total of 179 runs from 49 overs. The pick of the Malaysian bowlers were Muhammad Wafiq who finished with three wickets for 32 runs and Pavandeep Singh (3-24). Malaysia’s chase got off to the worst start as captain Anwar Arudin was run-out in the first over. Denmark’s bowling unit performed together as a team all taking wickets at important intervals. Bashir Shah (3-24), Nicolaj Damgaard (2-23), Hamid Shah (2-18) and Saif Al Ahmad (2-37) ensured a Danish victory. A number of Malaysian batsmen got starts but could not convert that into a match-winning innings, Muhamad Syahadat (29) and Suhan Alagaratnam (26) were the top scorers in the Malaysian innings. Uganda recovered from their opening day defeat but securing another victory and moving into second place in the table. A great batting performance from Mohammed Irfan in which he scored 51 runs from 17 balls including one four and seven sixes was the foundation for a 81 run victory. Hamu Kayondo (44) and Riazat Ali Shah (38) chipped in with valuable runs to get Uganda to 222 runs for eight wickets from 50 overs. 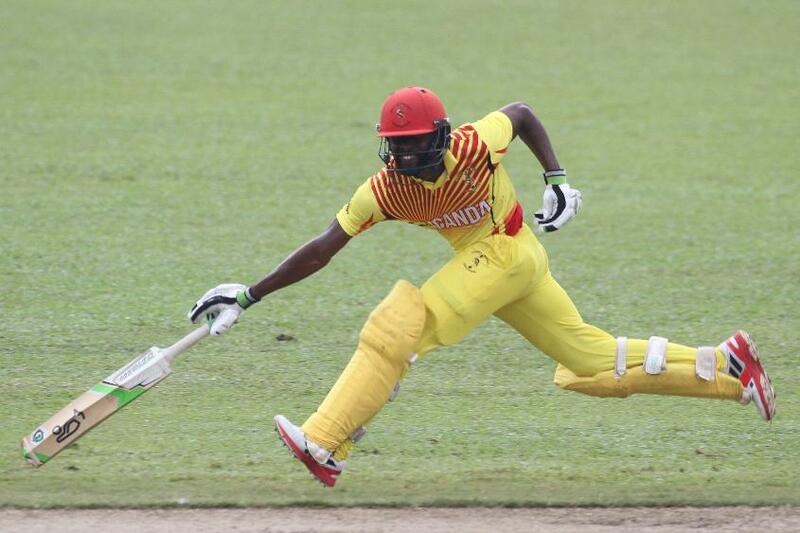 Apollinaire Stephen was once again the pick of the bowlers for Vanuatu taking three wickets for 37 runs. In reply, Vanuatu were left reeling after early wickets had them on 2-4 after 4.4 overs. Andrew Mansale played a captain’s innings scoring 69 runs from 110 balls including two fours and three sixes. Ronald Tari (20) and Simpson Obed (17) chipped in, but the Ugandan bowling unit was too strong. Riazat Ali Shah’s bowling figures of three wickets for 16 runs was the stand out bowling performance, with Irfan (3-24) and Frank Nsubuga (2-17) also taking wickets as Uganda won by 81 runs. Bermuda secured their first victory of the tournament beating Jersey by 58 runs at the Kinrara Oval. Welcoming Kamua Leverock back in to the team, the opener scored 66 runs from 43 balls including eight fours and three sixes. 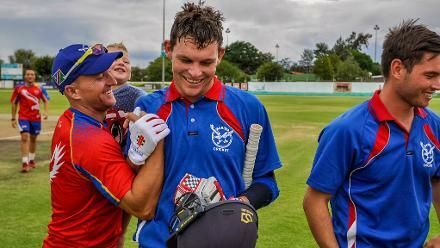 Terryn Fray also celebrated a half century scoring 56 runs from 87 balls. Janerio Tucker (23) and Tre Manders (23) also contributed with runs to get Bermuda to 242 all out in 49.2 overs. Jersey’s stand out bowlers were Ben Stevens (3-42) and Nathaniel Watkins (3-36). Dion Stovell’s four wickets for 33 runs secured the victory for Bermuda. Ben Stevens (42), Nicholas Ferraby (31) and Cornelis Bodenstein (30) all scored runs, but it was not enough as Bermuda won by 58 runs.